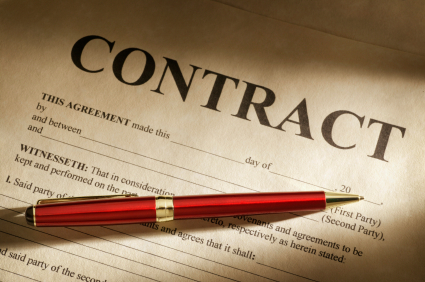 Arbitration clauses are binding, and supersede your right to go to court. Arbitrators are supposed to be impartial, but aren’t necessarily. Arbitrators’ decisions are hard to challenge. Courts are reluctant to reverse them, even where they are obviously unfair. Arbitration can cost you, even beyond any judgement that may go against you. In addition to travel and filing fees, you may have to pay the arbitrator. Christian organizations sometimes require Christian arbitration. Prayer and scripture may be given preference over law and evidence. Meanwhile, The Passive Voice, highlights deep discount clauses in many publishing contracts that let publishers offer titles to booksellers and wholesalers at big markdowns while disproportionally marking down the author’s share. We’ve seen these discount double-crosses applied for sales to book clubs and book fairs, for “special sales” in bulk outside the usual book trade, for large-print editions, for export editions. Let’s say the publisher sells our sample book in bulk for just $2.00. The discount double-crossed author would get one thin dime per copy, a royalty cut of an astounding 93%—even though the net to the publisher would decline by less than 33%. Even crazier, some reductions can apply even to direct sales from publishers to readers, despite the fact that the publisher gets to keep the share of the transaction that would normally go to a retailer or wholesaler. If anything, an author’s royalty rate on such direct sales should be higher than normal. Standard publishing contracts from large traditional publishers stand out in the constellation of business contracts for their one-sidedness and, in some cases, outright duplicity for anyone who fails to read them very carefully. The way that Randy Penguin and its cohorts write their standard contracts is not the way that Apple, Microsoft, Morgan Stanley, Bank of America, Disney, Intel, Hewlett-Packard, American Express, Merrill Lynch and similar entities write their contracts. PG doesn’t agree with many initiatives undertaken by the Authors Guild, but he’s pleased to see their latest efforts to shine a light on some of the most abusive contract provisions routinely employed by Big Publishing. However, the cynic in PG holds little hope that AG’s efforts will bring about any meaningful reform. Treating authors badly is too much a part of the corporate and cultural DNA of traditional publishing to change. These dinosaurs will die before they evolve. It’s really ugly in trad pub contract and royalty land these days. That’s why I continually tell writers who want to be trad pubbed to hire a LAWYER to negotiate their contracts, not an agent (even if it were legal for an agent to do it, which it is not. [sigh]). But do these writers listen? Nope.